"Players will come across new guns like the Bullet Gun, a gun shaped like a bullet that shoots guns and those guns shoot bullets..."
I don't even have a joke for that. It's too good. You guys, it's too good. 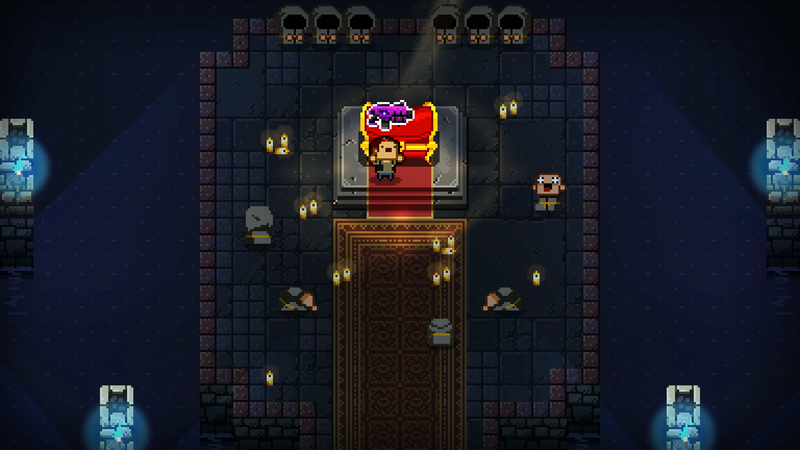 The "Supply Drop" will be hitting Enter the Gungeon this fall. Along with the aforementioned Bullet Gun, it'll feature new weapons, enemies, companions, bosses, and shrines to fill the hundred-ish new rooms added to the game. That's quite a bit of new, free content to help guide you through this probably-not-very-harsh winter season. Following this forthcoming update, developer Dodge Roll plans on adding one more batch of free content before releasing the game's first expansion early next year. 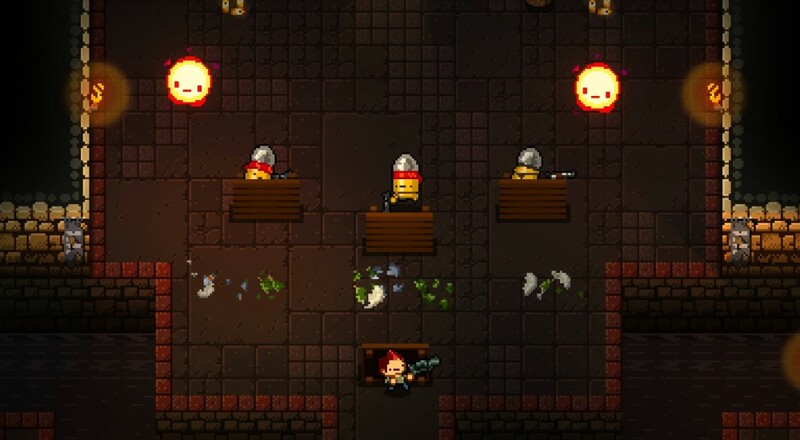 Enter the Gungeon's done quite well for itself since its full release earlier this year, and while Nick wasn't especially fond of it, it's still one of the better twin-stick shooter/roguelikes out there these days. Plus, it has two player local co-op for all those times you and a friend have found yourselves itching to stick it to some... actual bullets. Page created in 0.6176 seconds.